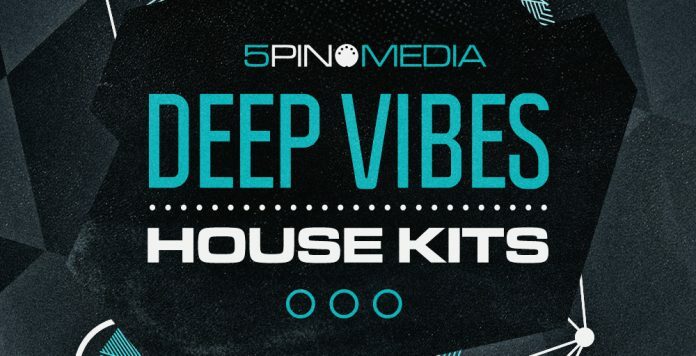 Mass Digital and 5Pin Media team up to bring you 10 Deep Vibes House Kits in unprecedented detail, giving you the tools to arrange and create great sounding tracks without wasting hours on working out which kick works with which bass and so on. Spend more time honing your mixing skills and adding your own style of arrangement, whether it be for a hybrid, remix, mashup, strip-back, re-style or dj edit, get going without delay straight out of the box. Mass Digital, aka Serbian producer Boris Mijolic, is no newcomer and has been releasing top drawer House on labels such as CR2, Upon You Records, Denied Music, BluFin, Colore, Phonetic and Toolroom to name a few since 2010. In keeping with the 5Pin Media ethos the kits have been designed to provide maximum flexibility and creativity by combining Stems, Loops, One-Shots and MIDI Files in an easy to use product. Audition the demo tracks to experience the sonic depth and quality on offer, right here, right now! True Looped and “Start + Tailed” versions of loops preserving reverb tails. Dry and Wet versions of music loops. Drum loops broken down into separate elements for ease of arrangement, effecting, processing and mixing. All music elements with key information. MIDI music loops included for expanding musical elements. 32Bar 4track Stems included with each Kit for creating edits and creative DJ mixing.